Why See Underbelly Festival 2019? When the howling gale force winds of March turn into the tentative unfurling of Springtime's first buds, the giant inflatable purple cow descends from the heavens and makes camp at the South Bank's Jubilee Gardens green, signalling the arrival of London's annual collision of theatre, dance, cabaret, circus, comedy, music and food that is the Underbelly Festival. 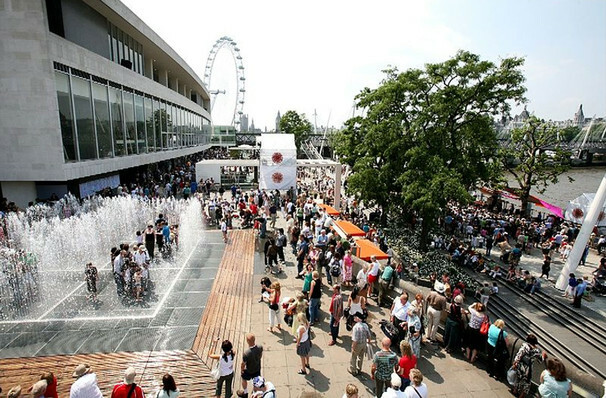 Running from the 4th if April to 29th September 2019, the popular capital city festival sprawls along the banks of the Thames, spanning a series of specially built tents on the Southbank including the Belly Theatre and that den of dazzling iniquity the Paradiso Spiegeltent. This year's line-up is set to be Underbelly's biggest yet! Amongst headline comedy acts and Edinburgh Fringe Festival favorites Josie Long, Jonny Donnahoe, Sarah Pasco, Sarah Kendall and Limmy, this year's chockablock programming includes a two week season of Podcast Live, which brings the insightful audio format's biggest shows to the stage, as well as the all new Family Fest, the perfect Easter holiday filler that features adaptations of popular children's books and kid-friendly circus and comedy events. Take a look here for show info and tickets! Seen Underbelly Festival 2019? Loved it? Hated it? Sound good to you? Share this page on social media and let your friends know about Underbelly Festival 2019 at Spiegeltent Southbank. Please note: The term Spiegeltent Southbank and/or Underbelly Festival 2019 as well as all associated graphics, logos, and/or other trademarks, tradenames or copyrights are the property of the Spiegeltent Southbank and/or Underbelly Festival 2019 and are used herein for factual descriptive purposes only. We are in no way associated with or authorized by the Spiegeltent Southbank and/or Underbelly Festival 2019 and neither that entity nor any of its affiliates have licensed or endorsed us to sell tickets, goods and or services in conjunction with their events.